SAN MARCOS, Texas - More than a week after his death, tributes continue to pour in for President George H.W. Bush. Some of those tributes are celebrating his love of skydiving. The team at Skydive Spaceland in San Marcos jumped out of a plane in the president's honor. 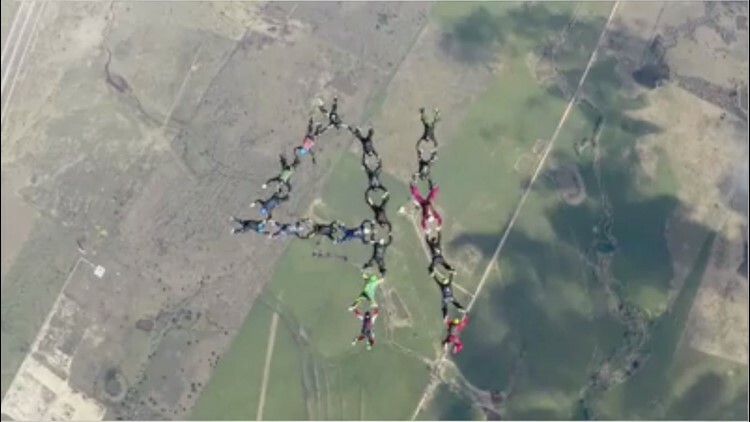 In the video, the group actually link hands to form the number 41. They shared a video of the creative tribute on Facebook saying, "Farewell to George H.W. Bush, our 41st president. Words cannot adequately express our appreciation of your service, character, and family focus. We hope your family will appreciate this tribute to a great man." Watch the tribute in the video below or here on Facebook.